Vermont is now well into the throes of coping with a new education governance law (Act 46). The law’s stated goal is to move the State “toward sustainable models of education governance.” That is, the State wants to encourage local school districts to merge into a “preferred education governance structure” built around fewer but larger supervisory districts with unified tax bases. The State’s carrot is reduced residential school property tax rates, which offer disappears in two years for districts that fail to act. The State’s stick is that the State Board of Education will impose a mandatory consolidation plan in 2018 if a district fails to respond to the carrots. Underlying Act 46 is the long-standing desire of state education leaders, now headed by the Governor, to reduce the welter of school governance models into a small number of varieties of mega-districts. That’s what “sustainable” means, as viewed from Montpelier. If or when this march toward “one big school system” concludes, there will remain at least three important questions. With new, larger districts replacing town districts, where will the locus of political control of public schools lie? Most likely, it will lie with the education bureaucracy and the teachers union, both of which are organized throughout the mega-district. The citizens of the component towns, ill-equipped to form political coalitions throughout the mega-district, will soon become largely irrelevant. This is the “waste management district” model. Will the preferred education governance plans, once fully installed, be likely to at least retard the steady rise of school property taxes? The advocates for district consolidation claim efficiencies of scale, but have been careful not to promise significant net savings to taxpayers. As the new districts close underpopulated or outmoded schools, any savings are likely to be offset by increased transportation costs. The probable result: some initial efficiencies, dwindling over time as the mega-district bureaucracy increases and the teachers’ union gains more power to increase their members’ compensation at the expense of poorly-organized taxpayers. Rep. David Sharpe, the architect of Act 46, states emphatically that “choice districts can’t be forced to give up choice.” He can point to Sec. 4(c), which reads in part “Nothing in this act shall be construed to restrict or repeal… the ability of a school district that [now] provides for the education of all resident students in one or more grades by paying tuition on the students’ behalf, to continue to provide education by paying tuition on behalf of all students in the grade or grades…”. Sharpe’s reading may turn out to be true, but the temptation of the State’s financial incentives to merge into the “preferred governance structures”, plus pressure from the Agency of Education, might persuade local voters to give up choice, at least of independent schools. The state’s public education establishment tends to be skeptical of parents’ ability to make the correct choices for their children. They are aghast at the thought of government schools having to compete for student tuitions. Instead of pushing forward with the complex and often murky provisions of Act 46, the legislature and education bureaucrats should give up on the waste management model. They should empower parents to choose the schooling best suited to their children, from among a wide assortment of diverse public and independent providers. They should tell public schools that they, like independent schools, have to pay their way by attracting student tuitions, instead of hitting up the taxpayers for their annual budgets. They should offer special education vouchers to supplement tuition amounts. They should repeal the universal preschool mandate, and limit “free” preschool programs to the 15% of children who really need them, instead of spreading the money over the remaining 85% as “free” day care. Does that sound radical? Yes, it does. But as none other than President Obama has emphatically said (speaking of health care), “My guiding principle is, and always has been, that consumers do better when there is choice and competition.” Let’s give it a try. 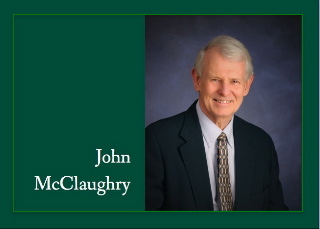 Well Mr McClaughry there is much more to Act 46, and as a retired school board chairman after serving eleven years my experience tells me non of it is going to be good for our Vermont schools! Act 46 section 13 states “Notwithstanding, title 16 V.S.A. 3448b the refund upon sale requirement shall not apply to a school district who agrees to form a Regional Education District (R.E.D.) on or before July 1 2016. Further, this section is repealed July 1 2017.” What this means is for school districts who agree to Act 46’s preferred option and form a R.E.D. before July 1 2017 the district will not have to reimburse to the State all construction state aid received, and will not be required to pay a percentage of the sale price of a building in the event the R.E.D. chooses to close a building. If however a district refuses to cooperate with Act 46 the Vermont State Board will make the decision for us and assign the district to a R.E.D.. If that should happen the uncooperative school district will be required to refund hundreds of thousands of dollars, financially crippling the home Town. Act 46 seeks to threaten voters into compliance quickly by sighting this statute, however there is no statutory authority due to the fact that Title 16 V.S.A. 3448b was repealed effective May 22 1996! Additionally, Act 46 eliminates small school grants and hold harmless funds. In the past when small school grant funds were lost local Boards requested the taxpayers to replace the funds. In this case Act 46 includes the loss of hold harmless funds and places a 2% cap on the amount a budget can increase from the previous year. With uncontrollable costs increases caused in part by simple inflation the 2% cap will not allow the Boards to request the taxpayers to even consider replacing those lost funds. As a result schools will have to reduce services determined necessary to provide students with essential programs. Therefore this part of the Act is in effect interfering with the ability of a Town to “maintain a competent school”……Fact, “Municipal authority is governed by the Constitution, statutes, and case law. The United States Constitution is the highest law of the land. The Vermont Constitution is the highest law of Vermont second only to the U.S. Constitution, and federal law when it pre-empts state law. A Vermont law is invalid if it violates either constitution, and actions of government officials including local government officials MUST FOLLOW THE REQUIREMENTS OF THE CONSTITUTION.” (source Municipal Law..Vermont Secretary of State) Section 41st of the Vermont Constitution states, “A competent number of schools ought to be maintained in each town for the convenient instruction of it’s youth” Article 8 of the Vermont Constitution states “Elections to be free and pure rights of voters therein that all elections ought to be free and without corruption, and that all voters having a sufficient evident, common interest with, and attachment to the community, have a right to elect officers, and be elected into office, agreeable to the regulations made in this Constitution.” Furthermore, Act 46 features an adjustable limit on how much a school can spend over the next two years. The Act violates the equity provision of the Brigham decision and the Vermont Constitution. The allowable growth percentage formula is variable depending on a school’s per pupil spending rate. The variable cap allows for no budget increase for the highest spending districts. The lowest spending districts can increase budgets as much as 5.5%. For example, Danby can spend 46% more per pupil than Lowell without triggering the tax penalty. In light of these facts Act 46 clearly attempts to impose huge financial penalties to deliberately influence the outcome of a vote by the citizens of Vermont to comply with the Act regardless of it’s constitutionality, and ignores the will of the people. Therefore as described in law Act 46 is invalid, and should be nullified or repealed immediately!!! Thank you for listening to this old retired school board member. Thank You, Mr. Denault for lifting back the veil of “consolidation as savings” and showing us the unseemly underbelly of the beast created by Act 46. As you so elegantly explain this is little more than a power grab reinforced with a significant extortion scheme to compel compliance ! (my attempt at summarizing your far more detailed and polite explanation). Tnank you Mr. Denault for showing us just how oblique, and opaque this “good thing” truly is. And the townspeople are going to be able to understand this and vote accordingly?? Townspeople, citizens, tax-payers, parents and our children are COMPLETELY IRRELEVANT to the education of our children. Trust the bureaucracy and the Educ-blob to make ALL decisions for us. Look at our test scores. These are not published to shame the Educ-Blob, but to demand more money for even more failures. I remember a favorite pundit telling me that his child, from a choice town, made it to France? for a school year, for less than the town was paying for local choice. The student went and gained the biggest possible chunck of education for the bucks! The teachers and bureaucrats pay contracts are all decided long before the voters get to decide, anything. Wonder why the situation is rigged and so one sided???? This is our $$$,$$$,$$$ bill for your little school, Pay it or “ELSE”. Cut toilet tissue if the budget is too high to make any financial sense!!! There is an answer for everything, isn’t there.